Derek Seguin 43.0 delves deep into the challenges of being a single dad in your forties, with a girlfriend that has no kids, living in an ever-changing and all too supercilious world. His Québecois flare and original point of view will make you think, make you re-evaluate, and above all; will have you howling with laughter. 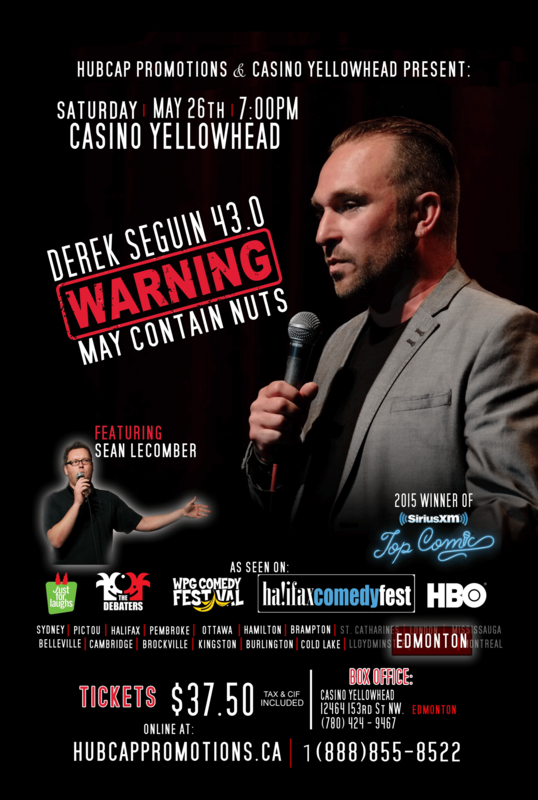 See one of Canada’s fastest rising, most “in demand” comic voices, and winner of the 2015 Sirius XM’s Top Comic competition; Derek Seguin. * Warning may contain nuts. ** Please be advised that this performance contains the frequent use of strong language and is intended for mature audiences.